In an unpublished interview from 2012, BBC Music's Mark Savage spoke to Susan Rogers, Prince's producer and engineer on the hit 1987 album Sign o' the Times, about her experience working with the global star. Was 1986 a productive time in the studio? Sometimes I remember those moments in the studio like they were yesterday. Other things, sadly, are lost. With Prince, we recorded all the time. As long as the guy was awake and breathing, we would be playing music. And most of that time, he was recording that music. Recording rehearsals constantly. So we recorded a lot. In between tours we were in the studio, either in Sunset Sound or at home in Minneapolis. A lot of the time, records would be made concurrently. So we would be doing some stuff for Sheila (his drummer), or we would do a song or two - like, famously, Kiss - for Mazarati. Prince would typically do a song a day. The Black Album was recorded right around that time - just setting aside a couple of days of studio time in order to make music to dance to at Sheila's birthday party. We'd been working really hard on Sign o' the Times - and the songs on Sign o' the Times, the lyrics are clever, the topics are deeper, more introspective than your typical dance music. Those songs require a bit of time to write and produce and record. So Prince needed a break from all that. He just wanted to make some funky dance music, because he wanted music to dance to at Sheila's party. So he took some time and recorded all that fun stuff and then set it aside and forgot about it. We pressed some vinyl - we would go to Grundman Mastering right on Sunset Boulevard in Hollywood - we'd have Bernie Grundman master it for us, press us some acetates. We would take a stack of these acetates to the party and the DJ could play them and we could dance to them. It ultimately became The Black Album - I believe this is how it happened - after the R&B music press wasn't as favourable in their reviews of the Sign ' o the Times album, and Prince wanted to prove, 'yeah, I'm funky, I still do funk music, I'm still a funk musician'. What song did you work on the longest? It has be U Got The Look. We spent a long time on that, and that was uncharacteristic of him. We worked on that over the Thanksgiving holiday. We didn't get days off, much less four days off, but I was supposed to have the day off that Thanksgiving because we were in Los Angeles. I was going to go see my family in Orange County, but he was so hard and heavy into it - so deeply involved in U Got The Look that I never ended up seeing my family that day. We were in the studio for days. But that wasn't a big deal. There was more time for seeing family later. The thing about U Got The Look is that at one time it was much slower. But he was frustrated with it, so we put the machine on varispeed, sped up the basic track a great deal, which changed the whole character of the song, and then he changed his approach to it, and ultimately had Sheena Easton come in and sing on it with him. It was a long time. It was a huge pop hit. He typically, typically would do a song a day - from tracking it to overdubbing and mixing it, which is just lightning speed compared to how the rest of the industry does it. When I was working in the industry, more typical would be a song a week, but he would do a song a day. So U Got The Look was atypical for him. I was remarking to myself, 'this is weird, we've spent three days on this song'. Normally he wouldn't do that. So what was slow to him would still be faster than how most people worked. Image caption This photo taken on June 17, 1987 shows musician Prince performing onstage during his concert at the Bercy venue in Paris. What was Prince's sonic signature? I can never presume to say what Prince had in mind and where he was headed. Prince's whole modus operandi was just to work as fast as possible. Everything we did was the old-school way. We mixed by hand. But every time we got a new piece of technology, we grew a little bit, we would try to improve the sound. So he was phasing out his Oberheim synthesisers and phasing out his Linn drum machine in favour of real drums, and in favour of the Fairlight and some of his newer sounds. The other thing he was doing on the Sign o' the Times was playing drums. He played drums on The Cross and… it's not that good. His ideas are good, but it's not that great. It's a little bit like when Stevie Wonder played drums - it's just so musical that it compensates for the lack of technical ability. He's a genius with programming a drum machine, a genius with rhythm, a genius with melody. Few people have come up with that many hooks over the course of a career. You'd be hard pressed to find any writer in any genre who'd written that many hooks. It's astonishing. 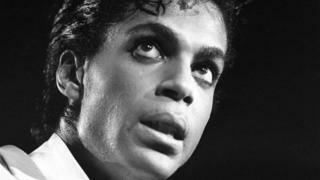 He started as a funk musician, but really Prince is a pop musician. Pop music is not a genre in and of itself, pop is just popular music. So Rihanna is pop music and Adele is pop music. Prince was pop music, even when he was doing funk. And that's what he did best.